The drive for development in sails often gets overlooked, such is the subtleness of the iterative advances that occur year to year. Last season seemed to represent an exception to that rule, with many lofts introducing reduced luff curves in their freeride and freerace sails, pushing the life and feel of their sails in lighter airs. The principle was first championed by NorthSails on the World Cup scene in 2015 in their racing sails, with good results in the lightest viable racing conditions. Since then, the concept seems to have been adopted by more and more brands … and in each new season visibly extended across yet more disciplines, including the wave sail class. This test was originally published in the November/December 2016 issue. Without exception, all the sails on test here possess four battens. The principle of reducing foil weight by reducing battens has long been used by brands … and the associated risk of jeopardising top end stability seems to have abated. Several brands here make no bones about trying to reduce weight and extend softness and feel in the bottom end of the sail’s wind range. And in a manoeuvre-oriented discipline the theory has lots of merit… After all, the smaller the sail you can get away with, the better – if you can get away with a 4.7m instead of a 5.0m, the handling advantage is hard to argue against. The introduction of three-quarter length battens smacks of the past repeating itself for those that can remember far enough back. And yet, the neutral on-off handling and soft, smooth power delivery they provide is a welcome benefit, whichever decade you’re windsurfing in. The choice in sail style you opt for (between those that focus on bottom end power or top end stability) largely depends on where you sail. 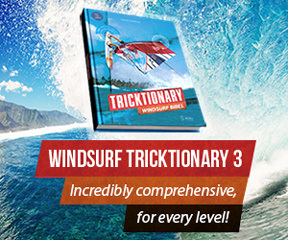 If you are lucky enough to have a local spot that regularly benefits from large ground swells, resulting in you being able to rely on the wave’s power as the energy source when you ride, the sail with the power and handling characteristics that enable you to get away with the smallest area possible will win out. The truth is, here in the UK, you often encounter conditions at the other end of the scale, relying on wind as the power source and making do with the best wind swell waves you can find within a reasonable driving distance! Frontal weather patterns mean changeable conditions … winds being gusty and variable in the extreme. In such instances stability is key. Many of these four batten sails can now lay claim to nigh on the same top end performance as their five battened counterparts … but if these are the conditions you tend to encounter, make sure you choose the sail to match. 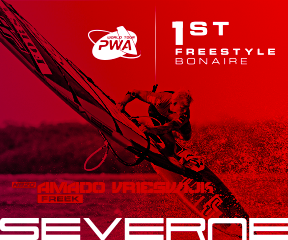 Severne are a brand that pride themselves in innovating, the S1 being at the forefront of their wave development. It won’t be for everyone, but the 2017 S1 pushes the envelope in what is capable at the bottom end of a sail’s wind range, incorporating principles developed in three-batten sails. North have done the same by extending the distance between the boom and the batten above similar to that of a three-batten foil, yet maintain structure in the head of the sail to ensure stability. The Neil Pryde Combat and Sailloft Quad possess plenty of built in shape and structure in their seams … both generating excellent bottom end power to match their top end dependability, and yet ideally set on different length masts. The Loftsails WaveScape feels large in the hands in marginal winds, its long boom providing clean useable power, before being re-tuned for a locked in performance as the wind turns on. The Guru from Goya remains a loyal contender with a classic feel and nature, using the qualities of its materials to provide softness and durability, incorporated into the brand’s defining design framework. 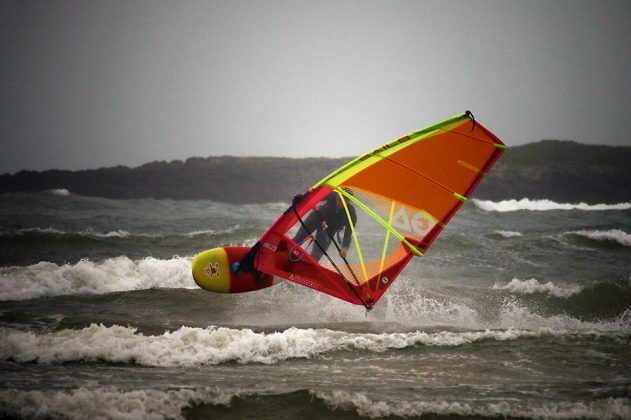 That leaves the Simmer Blacktip with its low down shaping and rider focussed sweet spot, fantastic in all conditions … and the GA Sails IQ, with its supreme versatility, mixing it up in all conditions, from the marginal to the extreme.